Moelis & Company, Citi,Deutsche Bank, JPMorgan,Bank of America Merrill Lynch, and Morgan Stanley were advising Broadcom on the merger. Those banks would have shared $US110 million to $US135 million in fees if the deal had completed, Jeffrey Nassof, a director at the consulting firm Freeman & Co., told Business Insider in November when the bid was first announced. Bank of America, Citi, Deutsche Bank, JPMorgan, and Morgan Stanley were also helping arrange debt financing, while Silver Lake Partners had agreed to supply $US5 billion in convertible debt financing. Qualcomm had resisted the takeover offer, hiring Goldman Sachs and Evercore to aid its defence. Had the deal gone ahead, Goldman Sachs and Evercore could have made $US120 million to $US145 million in fees, according to Nassof. 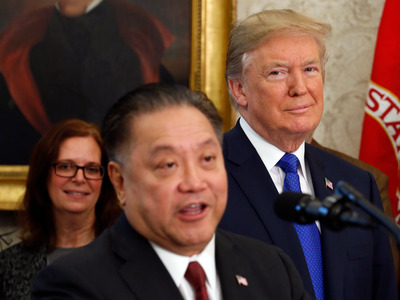 Now that the deal has been blocked, Qualcomm’s advisers are likely to see some payout, though it’s not clear how much. The blow to Wall Street could be temporary, with Trump’s decision to block the deal potentially triggering another round of bids. Intel has reportedly been watching the Broadcom-Qualcomm situation with interest, for example.